Day 2: Morning game drive. Breakfast and leisure time. Evening game drive. 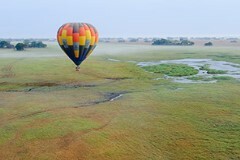 Day 3: Hot air balloon safari. Leisure time. Boating excursion. Tailor made itineraries can be made to suit weather conditions and your preferences. If you have any questions on any activities or programs, just ask one of our consultants. Interpretive game drives in open vehicles allow guests to view large numbers of plains game such as puku, red lechwe, buffalo and wildebeest and even the rare roan antelope. 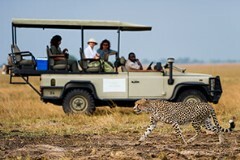 The famous lions of Kafue, cheetah and wild dog are also to be seen. 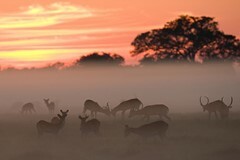 Led by a highly trained and knowledgeable guide, night drives offer a glimpse into Busanga Plains’ unique, nocturnal world. A diverse range of species may be seen at night, including genet, civet, owls and occasionally the elusive leopard. 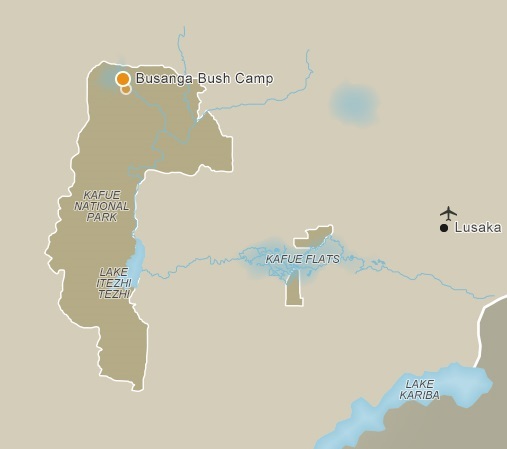 Early on in the season, the Busanga Plains are still covered in much water. A boating excursion during this time allows for exploration of the channels and their life. Boasting 491 species, including the endemic Chaplin's barbet, birding enthusiasts will be spoilt for choice on a specialist birding safari. 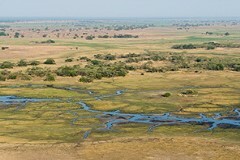 The area is also alive with rollers, bee-eaters, kingfishers, herons and large flocks of storks, to name a few. Hidden on a tree-island of sycamore fig trees, the camp has four well-appointed en-suite tents each with a veranda to take in the sweeping views. 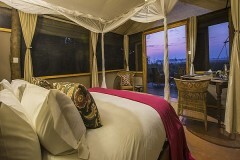 The lounge and bar area is under canvas with an uninterrupted view out over the plains. A little further back is the dining area, shaded by the canopy of a majestic tree from which an unusual lantern chandelier hangs, romantically lighting up dinner; most meals are served in the open air. Prices are per person per night and a minimum of 3 nights stay is recommended. Hotel rates are based on lead-in rooms. Other room types and hotels are available. Rates are subject to change and different rates may apply during holiday seasons and special events.